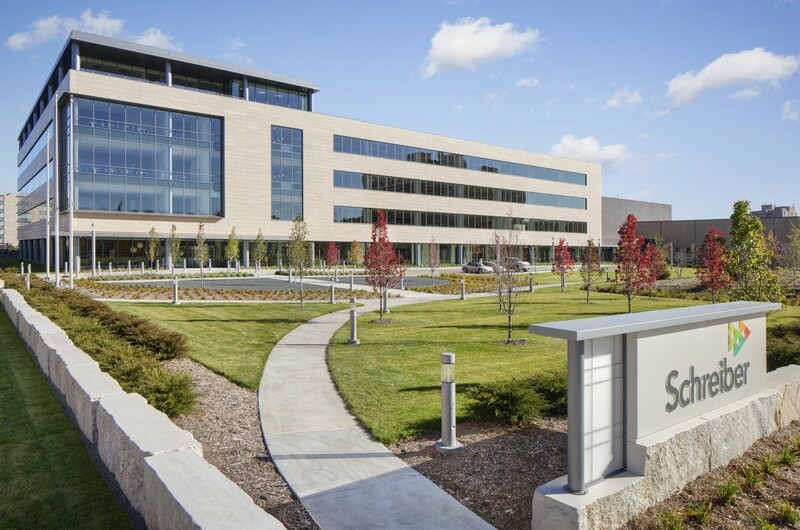 Schreiber’s Home Office and Global Technology Center consolidates the dairy company’s business operations and research & development functions on a single downtown campus. 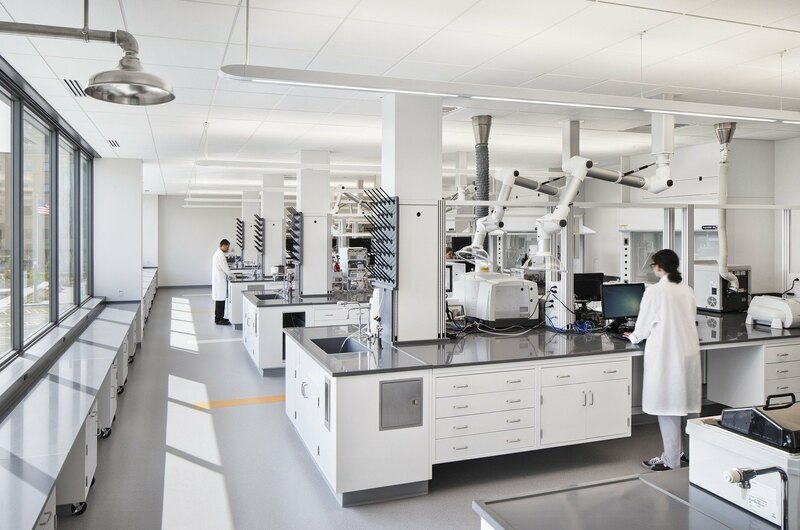 The 250,000-SF, L-shaped building includes offices, conference rooms, training center, partner services, customer center, research & development labs, pilot plant, two-acre courtyard, and shell space. The ground floor is a transparent “urban storefront” with expansive windows. Buff-colored regional limestone clads the upper floors, while an all-glass fifth floor and cut-out glass corners create visual presence. 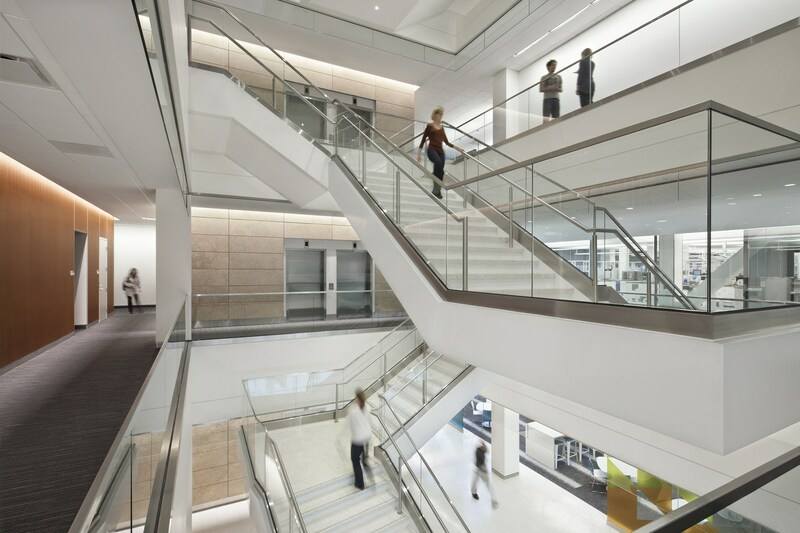 Interior spaces enhance operational processes, collaboration between business units, and customer relations. Employees and customers circulate through a ground-floor arcade along the street-front windows. A centrally-located open staircase connects the upper floors, where circulation runs along the periphery by the windows. 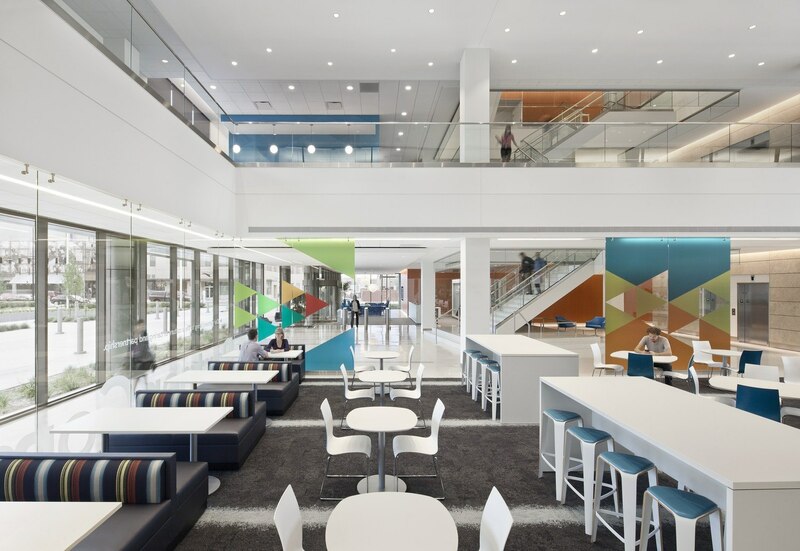 The narrow footprint maximizes daylight on the floors as open work stations, teaming rooms and commons spaces bring customers and employees together. The master plan represents Schreiber’s investment in the urban core, commitment to the community, and sustainable approaches to development. Reusing 60 percent of the existing foundation from a former shopping mall, the building fits within Green Bay’s urban fabric and network of green squares. The transparent “urban storefront” connects with the community, while a courtyard within the elbow of the L offers an outdoor retreat for employees and pedestrians. Interior planning emphasizes a positive work experience. A centrally-located staircase connects all floors and provides a focal point. 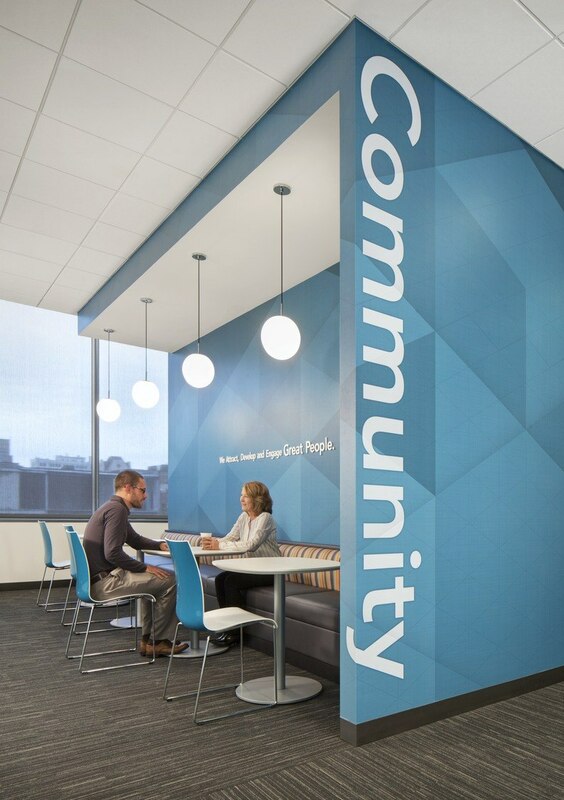 Work spaces enhance operational processes, collaboration, and customer relations with open work stations, teaming rooms, and common spaces for 800 employees. Throughout, innovation in technology is on display as customers interface with the processes of food production and distribution. HGA provided LEED® prerequisite commissioning, including additional Owner requirements. Commissioning tested more than 500 pieces of equipment. 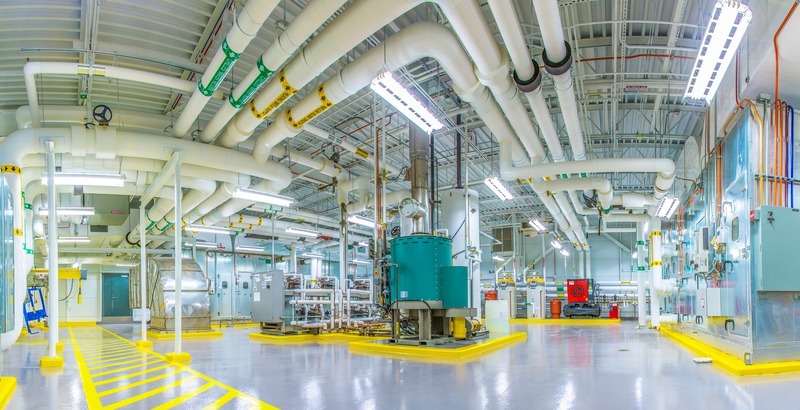 The process helped resolve more than 140 deficiencies, impacting energy, sustainability, and maintenance that will save approximately $40,000 annually in energy costs. 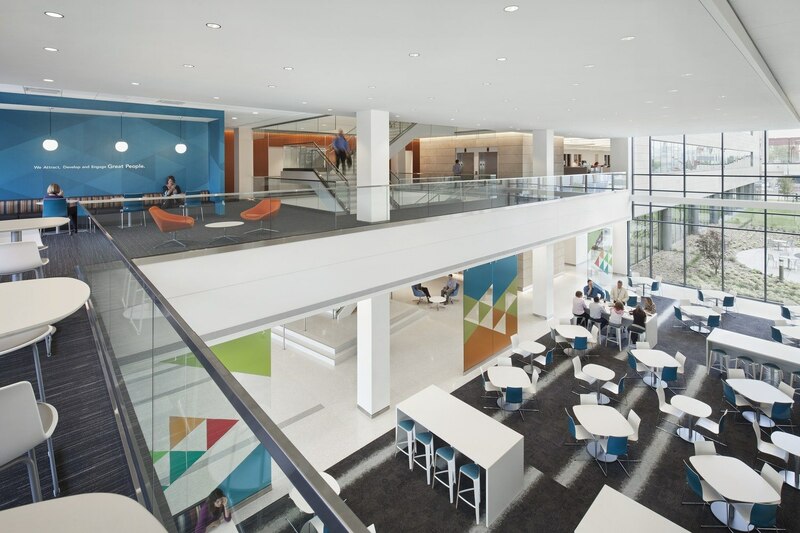 Schreiber’s new headquarters reinvigorates downtown Green Bay, Wisconsin, and creates a dynamic research-and-development workplace for the global dairy company.